New York City circa-2017, High angle view of One World Trade Center and World Trade Center Memorial. Shot with Cineflex and RED Epic-W Helium. New York panoramic view from One World Trade Center Observatory. Day view inside window of Freedom Tower, 1 WTC in Lower Manhattan, New York City at 285 Fulton Street. Drone footage of the Manhattan city skyline at night, taken from Brooklyn, New York. 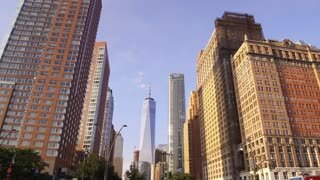 The Footage shows One World Trade Center along with the Lower Manhattan City Skyline. New York Urban Lower Manhattan Skyline from Soho Rooftop during beautiful sunset. One World Trade Center in the middle of the frame. Tilt down to reveal skyline. One World Trade Center ("Freedom Tower"). Day exterior with some clouds. Beautiful weather and light. One World Trade Center New York City USA. Low angle shot with trees in the foreground. Smooth gimbal shot with minimal lateral movement. 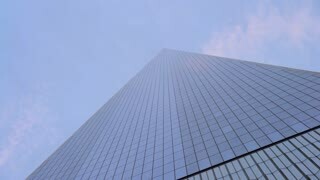 New York, NY / USA - February 22, 2019: One World Trade Center with Camera Reveal Movement. Shot on a gimbal. Greenwich Village Soho New York Street from above with One World Trade Center and other Lower Manhattan Wall Street skyscrapers in the distance. View of One World Trade Center from east side Foley Square vantage point. Lower Manhattan Skyline. 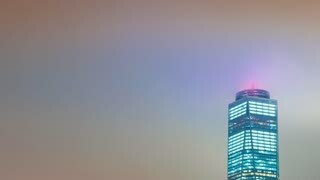 A timelapse recording of the Lower Manhattan skyline taken from a ship departing New York city on the Hudson River. One World Trade Center is clearly visible.